Winter is not my favorite season (I'm always cold and wear a sweater in the summer) so I decided to make a happy winter design. This Winter of Love is stitched over two on Access Commodities 30 count Parchment linen using Weeks Dye Works floss in Capri, Foliage, Havana, Pepperoncini, Sweetheart Rose, Verdigris and Whitewash. SamSarah hand-crafted polymer clay buttons are included with the chart and are not available separately. 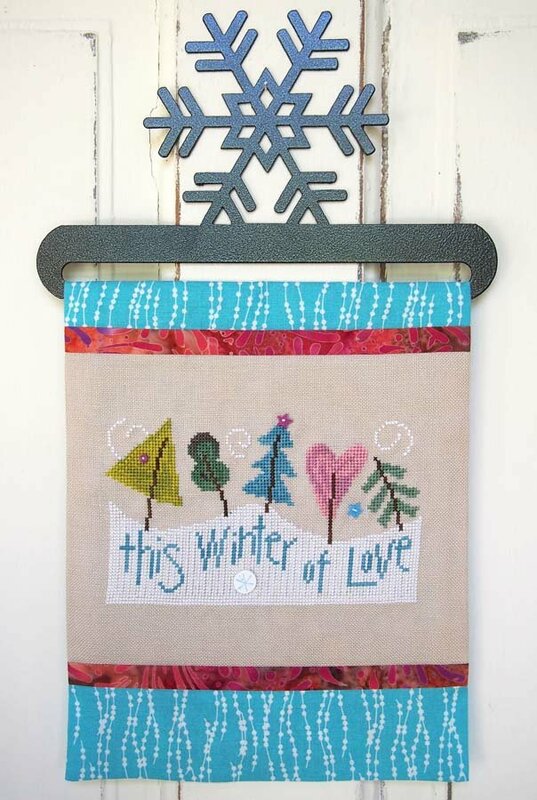 Finishing instructions are included to sew the banner that fits on an Ackfeld 8" Snowflake hanger HERE.